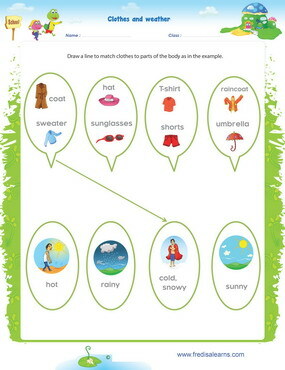 The lesson will also focus on common phrasal verbs and verbs used when talking about clothes – put on/take off. This kids English lesson teaches students how to use the verb 'to wear' in the present progressive. The lesson also looks at a few new contractions with the auxiliary verb ‘to be’. The worksheets below are useful for offline and classroom activities. 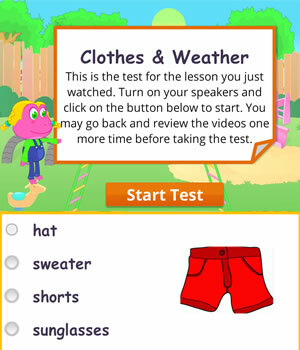 These printable exercises directly correlate with the above lesson 'Clothes Weather'. Every worksheet comes with an answer sheet on the second page for educators. 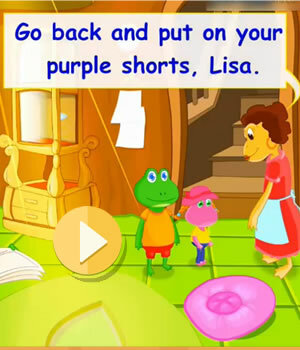 Freddie and Lisa are about to head out to the park when Mom notices they are not wearing the right clothes for the weather. 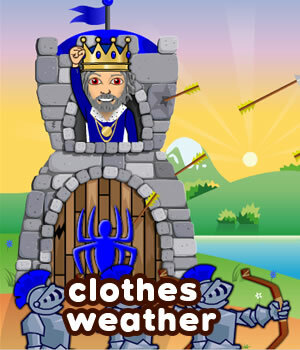 She asks them to change their clothes and dress up appropriately for the weather. She is wearing a pair of sunglasses./ She’s wearing a pair of sunglasses. It is hot. / It’s hot.